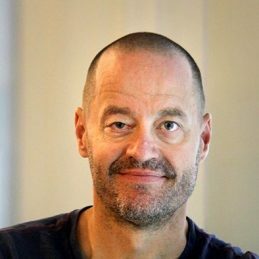 Adam Spencer began his career in radio by winning the Triple J Raw Comedy championship in 1996. From there, Adam took over the Triple J breakfast time slot, co hosting with Wil Anderson from 1999 – 2004. From 2006 to 2013 Adam was the host of the coveted radio slot ABC 702 Breakfast Show, building a cult following which saw him crowned the “best radio show” by ABC local radio in 2012 and 2013. Adam holds a first class honors degree in Pure Mathematics and has an immense interest in science. These passions lead Adam to hosting the ABC program Quantum and FAQ from 1998 to 2001. Other TV credits include hosting Hit & Run for Foxtel’s Comedy Channel; Joker Poker for Channel Ten; two series of Sleek Geeks with Dr Karl Kruszelnicki for ABC TV and team captain on the ABC TV’s sports show The Trophy Room. The author of The Little Book of Numbers, Adam explained his love of prime numbers and the magic of maths to an enraptured TED audience in early 2013. Since being posted online, his talk has had over a million views. Adam is the ambassador for many charities including Redkite and in 2014 was appointed University of Sydney’s Ambassador for Maths and Science. He also co-hosts Australia’s No 1 podcast, Sleek Geeks with Dr Karl. Adam’s latest book, The Big Book of Numbers has also now been released. Adam is in demand as a corporate speaker and especially as an MC and awards night specialist.